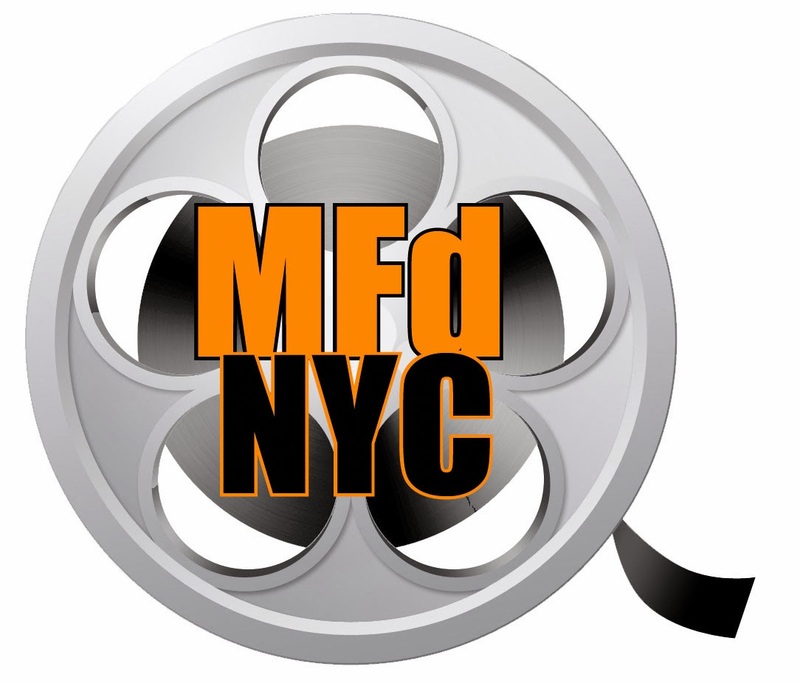 Director Baz Luhrman is not known for subtlety, the man goes all out with his movies whether it be with props, lighting, actors or indeed wardrobe. Moulin Rouge! was a phenomenal feast of courtesan dresses and pristine tuxedos. 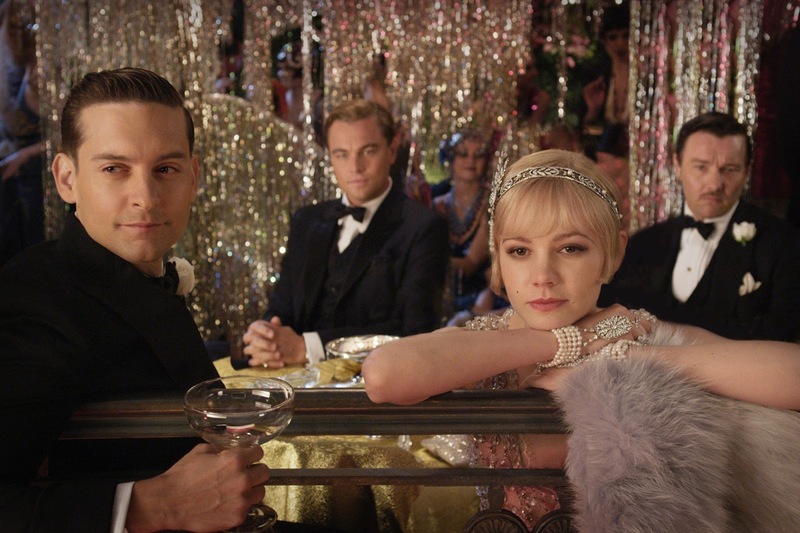 Strictly Ballroom was a vision of sequins and glitter and of course The Great Gatsby was held to the same standard. The entire film is a blur of pastel suits, vintage dresses, beautiful silks, pretty headpieces and numerous feather boas. No doubt it has inspired countless designers since it premiered this year. Audrey Hepburn is the Queen of simplistic style: ballet flats, black leggings, simple stripes and crisp white shirts. 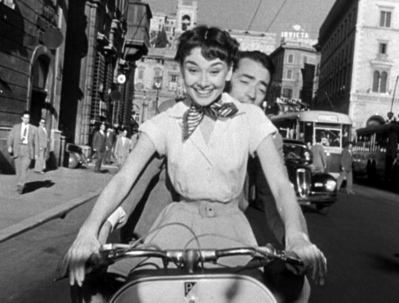 Roman Holiday shows both glamour and simplicity as Audrey begins the film as a princess draped in pearls, lace and ball gowns and then switches to a normal girl in pretty midi-skirts, simple shirts and waist synching belts. Audrey shines as the runaway princess enjoying ice cream and vespa adventures in the sun with the handsome Gregory Peck. Plaid shirts, oversized blazers, shoulder pads and little white socks. Heathers is a lasting tribute to 1980s fashion that every style guru can turn to for inspiration. This cult classic showcases girls in matching skirt suits and boys in black leather grunge and preppy football sweaters. It’s the high school catwalk. The first ever Bond film made some serious fashion statements. Sean Connery played the dashing 007 with slicked back hair, classic tuxedos and sharp suits. He was the ultimate manly man’s man. However the film was never really about him, at least not when it came to fashion, it was all about the swimsuit. Ursula Andress played the first ever Bond girl as Honey Ryder. Andress made a splash (excuse the pun) in one of the most famous bikinis in the world of film or fashion. She stole the show and the look was even recreated for Halle Berry in Die Another Day. Bravo Ms. Andress. 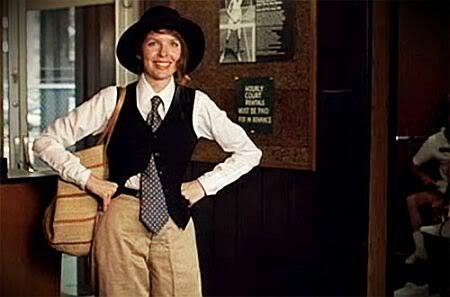 Diane Keaton is a fashion lover’s dream in Annie Hall. She is perfectly frumpy, stylishly messy and sweetly masculine. Her oversized ties, long trousers and loose shirts are editorial and cutting edge but really just a present from Grammy Hall. She is covered head to toe, not a patch of skin to be seen bellow chin level and her layers have layers and yet she is undeniably attractive. On anyone else it would be an absolute mess but on Keaton it’s undoubtedly charming and the world of fashion has been celebrating it ever since.